I don't think many people under 30 years old know what a clothes pin bag is. When I was little a clothes dryer was a definite luxury. I think Mom got her first one some time in the 1970s. When she grew up all laundry was put on a clothes line and secured with cloths pins. Lots of clothes, equaled lots of clothes pins,and thus something was need to put those pins in, and keep the close to the hands that where hanging the laundry. We had a clothes line in the backyard of the house we raised our kids in. While we did not use it often and I eventually took it down, the smell and feel of line-dried clothes was something our girls at least were exposed to. Jessi got her own home in the winter of 2016. By spring of 2017 she had a retractable line put in. 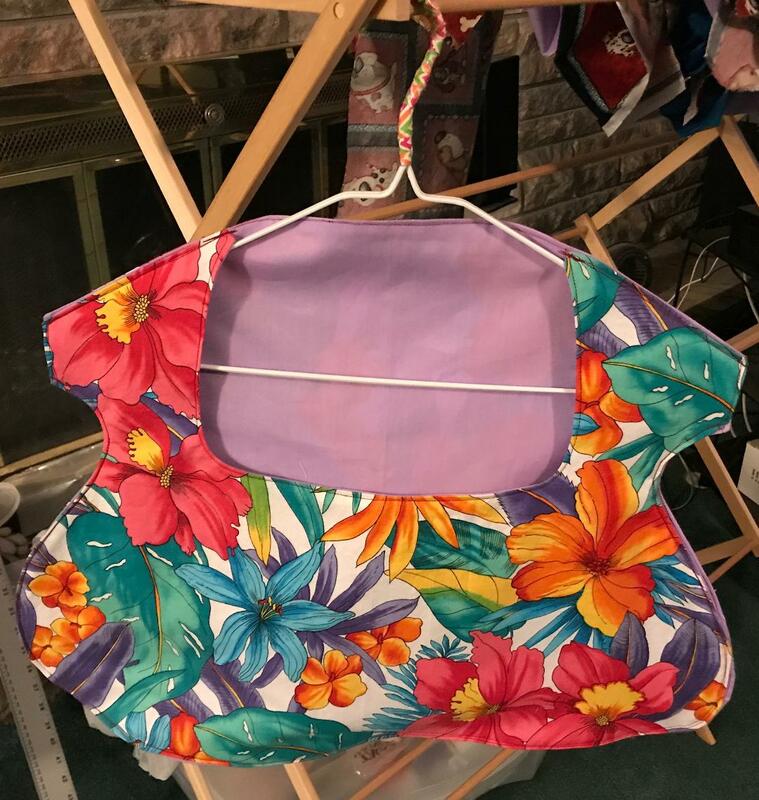 She asked her Mom to make her a bag for her pins.